Dr. Bharat C. Patel’s credentials include board certifications in sports medicine, physiatry, pain medicine, electrodiagnostic medicine, and interventional pain management. Fewer than one in 10,000 physicians nationwide are quintuple board certified. 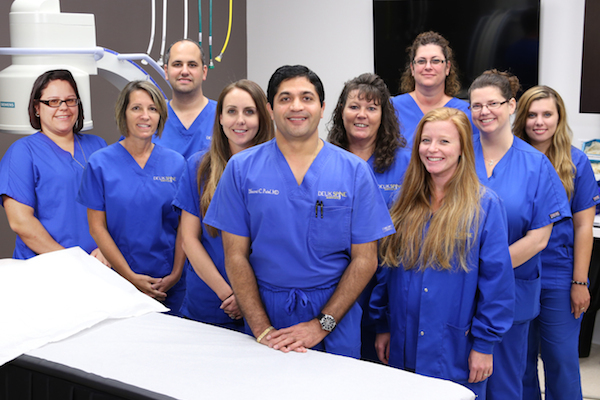 The highly respected Becker’s Orthopedic, Spine and Pain Management Review included Dr. Patel on their published list: The Best Pain Management Physicians in America. Becker’s has also named Dr. Patel to their exclusive list of the “12 Great Physicians in Florida.” In addition, Dr. Patel serves as Assistant Professor of Physical and Rehabilitation Medicine at the University of Central Florida’s College of Medicine and is Secretary of the Board of Governors for Brevard County Medical Society.